Bananas and raspberries, pumpkin and papaya, blackberries and oats—once your little one is ready to make the changeover from milk to solid food, it seems as though the world of flavor opens up, and there’s an entirely new realm of options to explore. 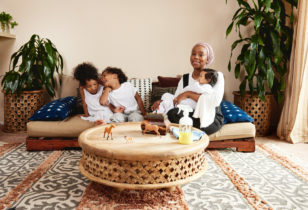 While this is an exciting breakthrough for both mama and baby, it can sometimes feel confusing to know just where to start, and what the necessary tools are to get moving. In order to make this milestone transition go as seamlessly as possible, we’ve teamed up with Plum Organics, which just launched its new Baby Bowls, and gathered a comprehensive list of our favorite essentials, below. Some items are no-brainers, and others might take you by surprise. 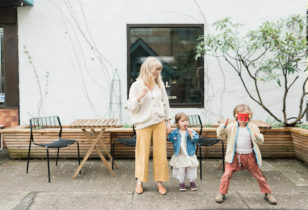 But, no matter where your knowledge falls on the baby feeding spectrum, you can rest easy knowing you’ll be prepped and ready when the time comes to feed your little one something new, delicious, and exciting. This post is brought to you by Mother + Plum Organics®. The dedicated space where your baby discovers new and exciting solids is important, just as the food itself, of course. 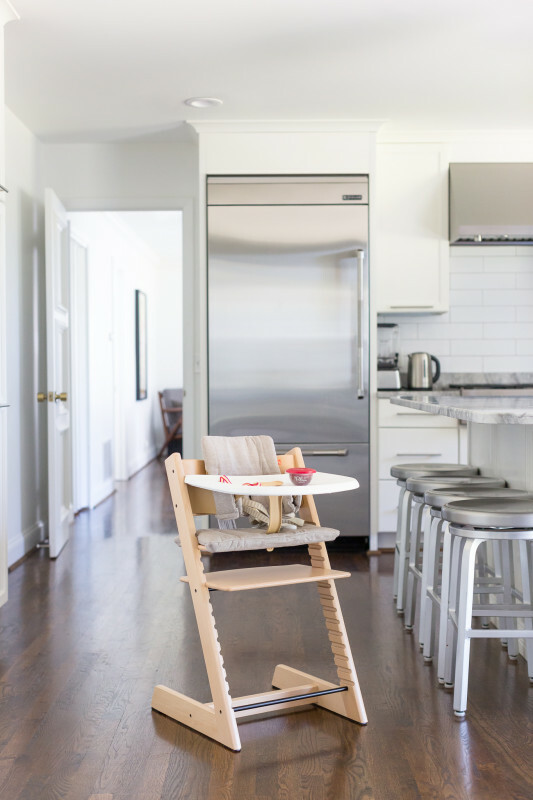 In order to introduce your little one to the magic of new flavors, we're big fans of the Stokke Tripp Trapp Chair. Not only is it beautiful in design, but it's also extremely functional and safe. As your baby grows, the chair evolves to meet his or her needs at every stage of life. Add the baby set and tray for younger babes, or scoot your more advanced eaters up to the dining room table to enjoy a meal as a family. Mother recommends: The Tripp Trapp Chair, $249, Stokke; Baby Set, $69, Stokke; Tripp Trapp Cushion, $44, Stokke; and the Baby Set Tray, $49, Stokke. The Plum Organics Baby Bowls, starting at $19.71 for 12, Plum Organics. For mess that spills over onto the floor, why not invest in a high chair mat? Pick up, wipe away, or clear off crumbs and splats that will inevitably make their way to the ground. 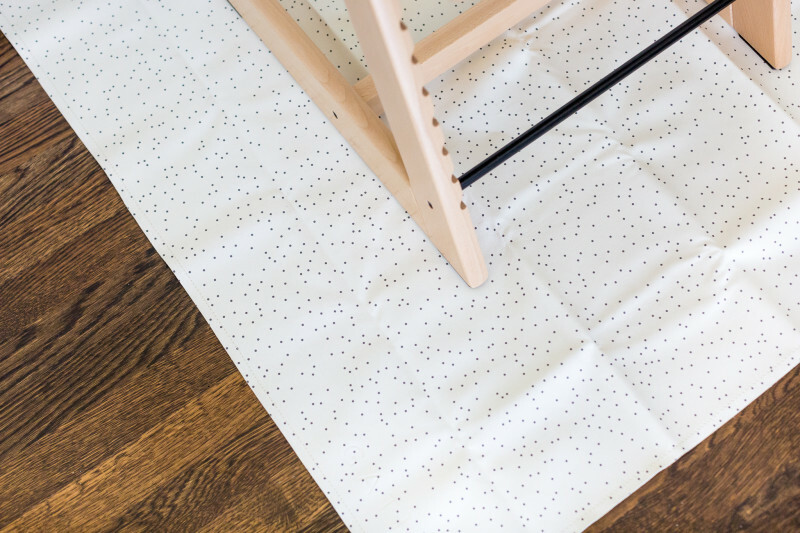 We love the Gathre mat specifically because it features a stain-resistant surface that allows for easy cleanup—no laundry loads required. It doesn't hurt that it's easy on the eyes, either. 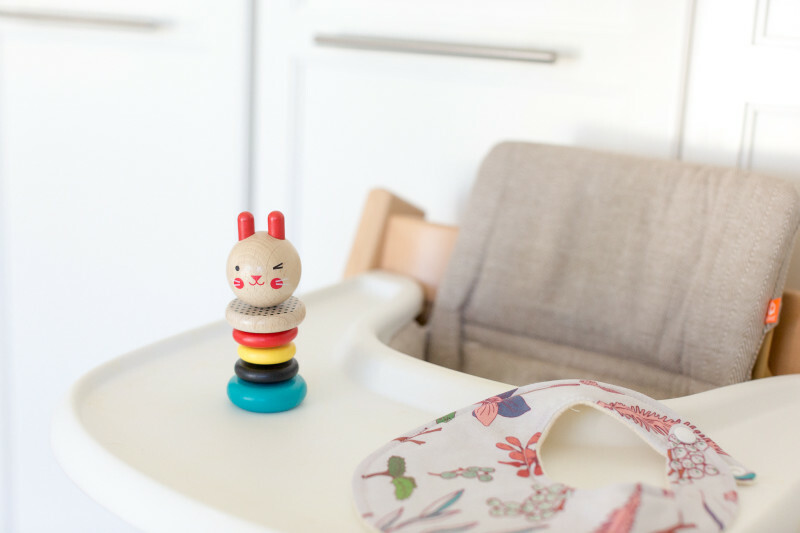 Mother recommends: The Gathre High Chair Mat, $60, Gathre. While transitioning your baby to solids can be a rewarding and exciting time, it can also be a messy feat. Protect your well-spent, baby clothing dollars with a simple and easy-to-attach bib. 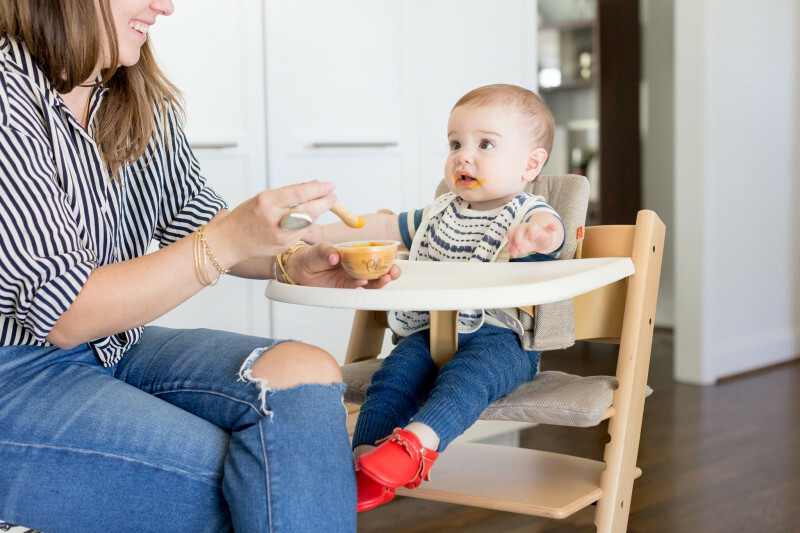 Whether your little likes to feed themselves or let you do it, chances are food will go flying, and the bib will be there to protect your kiddo (as much as it can) when it does. Mother recommends: The Silky Soft Snap Bibs, $24.95, Bitte. 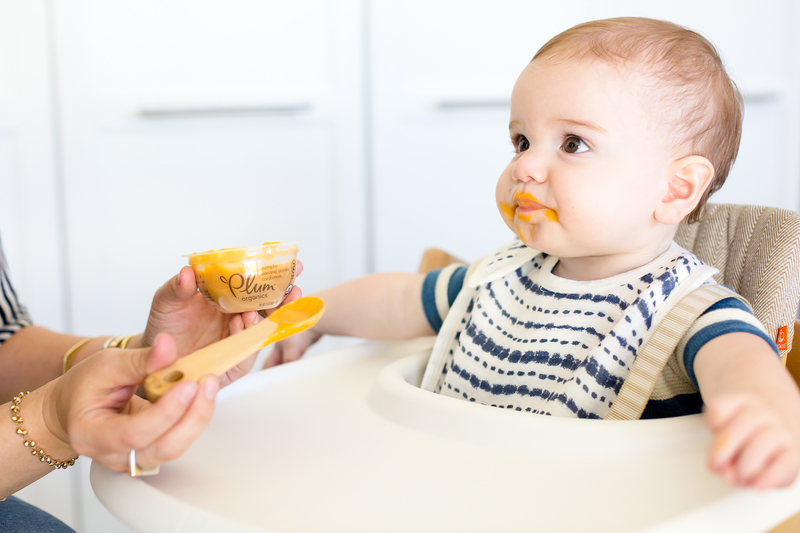 One of the most exciting parts about making the switch to solids can be incorporating more real-life accessories, with one of the most important utensils being the spoon. Help your baby get accustomed to new foods and flavors with an easy-to-use version. We particularly love this bamboo baby spoon because it features USDA organic bamboo and a colorful leash to keep it close by during particularly hectic meals. Mother recommends: The Bamboo Baby Training Spoon With Leash, $11, Bitte. When your kiddos are picky or particularly disinterested, featuring out-of-the-box plates and bowls in various shapes and sizes can make breakfast, lunch, and dinner more exciting. We may be partial to cute animals, but the decision is ultimately up to you, your little, and what works best for your family. 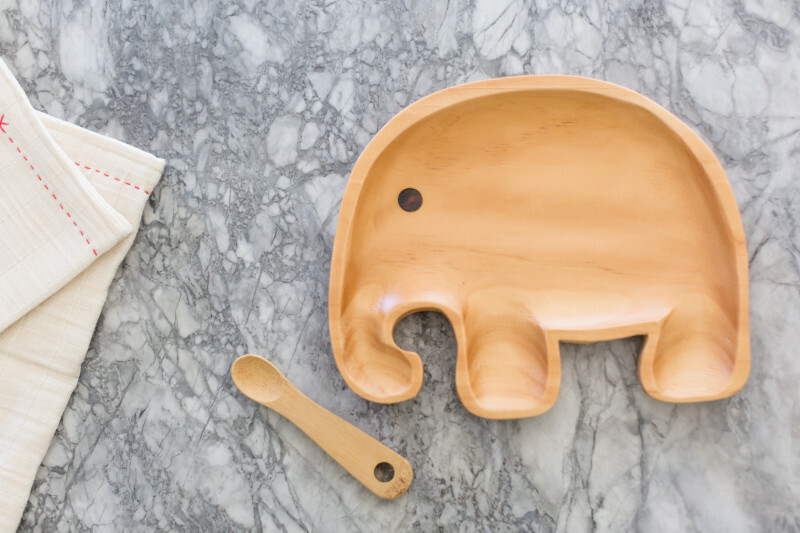 Mother recommends: The Kids Wooden Elephant Plate, $18, Poketo. Did we mention that making this transition might get messy? 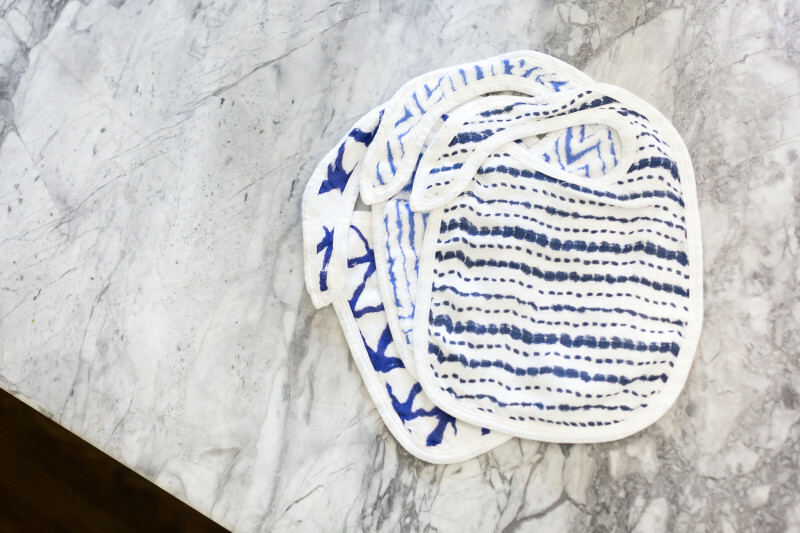 To keep food in place (as much as humanly possible) and minimize clean-up time once your little guy or girl is full, a silicone feeding mat is key. We especially love something that stays put, like this Bamboo Cereal Bowl with suction foot and this EZPZ mini mat because it's made of a no-tip silicone that suctions to whatever surface and keeps fungus, mold, and bacteria at bay. Your baby is sure to love its colorful, smiley design, too. Mother recommends: The 'Mini Mat' Silicone Feeding Mat, $19.99, Nordstrom. Growing up and discovering new foods to enjoy is thirsty work. When the time is right, consider adding an easy-to-use cup for water and other beverages to the equation. Try a no-spill version with handles for an easy transition. We're big fans of the Munchkin Miracle 360 because of its spoutless design and 360° edge that allows your kiddo to drink from any side—easy peasy! 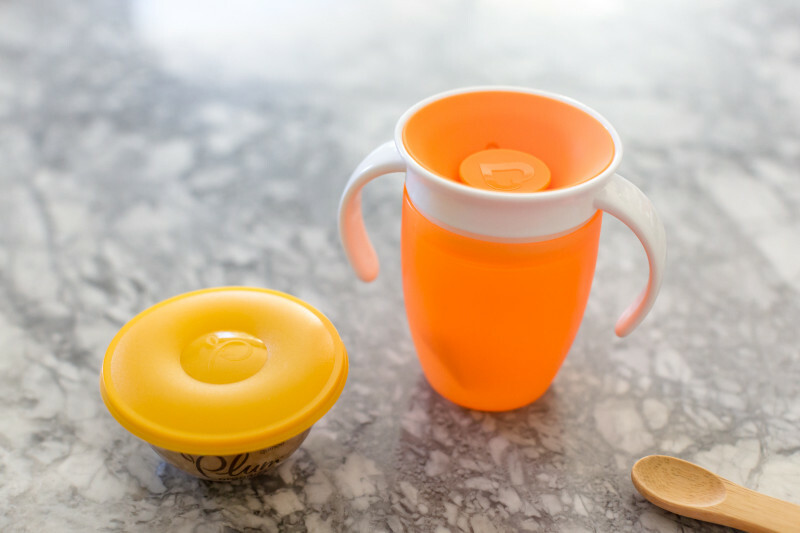 Mother recommends: The Miracle 360° Cup, $6, Munchkin. Perhaps the most essential item in this monumental transition is the food itself. Because every child is different, offerings should be healthy, vibrant, and diverse. It's no secret that we're big fans of the Plum Organics Baby Bowls, and for good reason. Their culinary-inspired flavor pairings encourage sophisticated little palates. Additionally, the patented bowl design allows for easy feedings and the option to reseal, saving you one more dish to clean up! 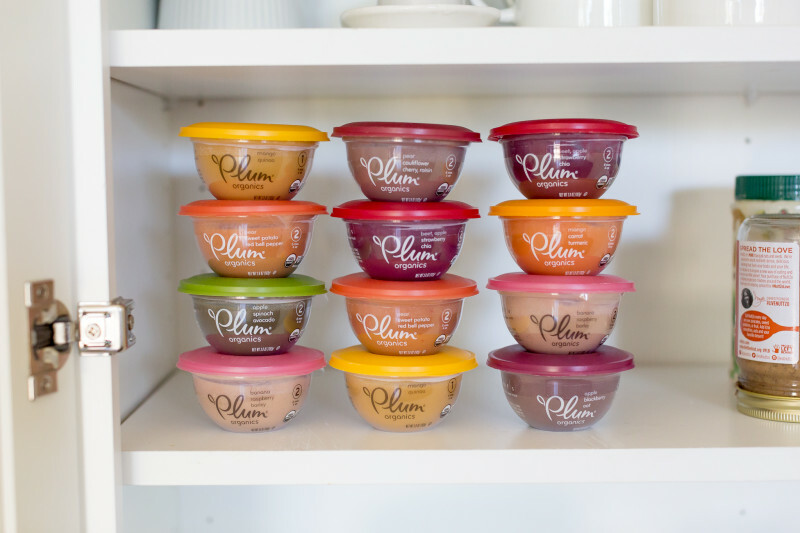 Mother recommends: Plum Organics ® Baby Bowls, starting at $19.71 for 12, Plum Organics. 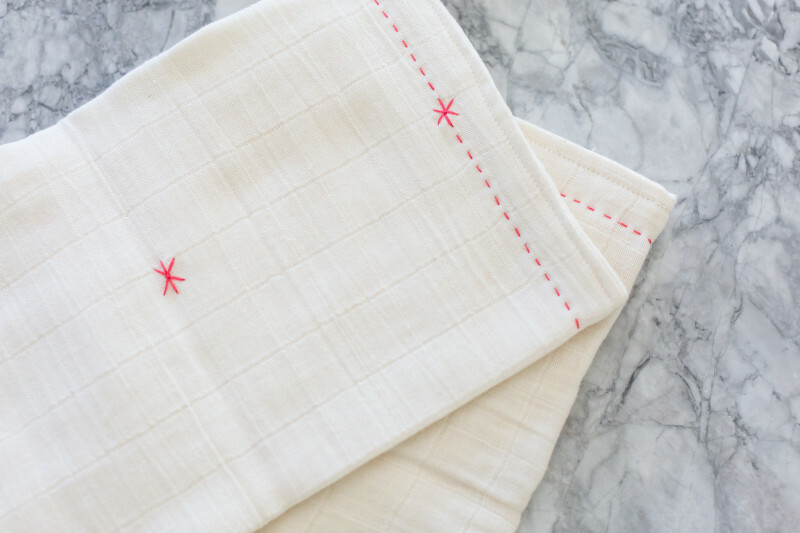 Whether you need to burp baby, wipe away excess mess, or anything in between, keeping a soft cloth nearby is an environmentally friendly way to maintain a clean and happy child and home. We recommend an organic variety so that sensitive skin stays safe, but encourage you to have fun with colors, patterns, and sizes. Mother recommends: The Lovie, $36, Arcade. 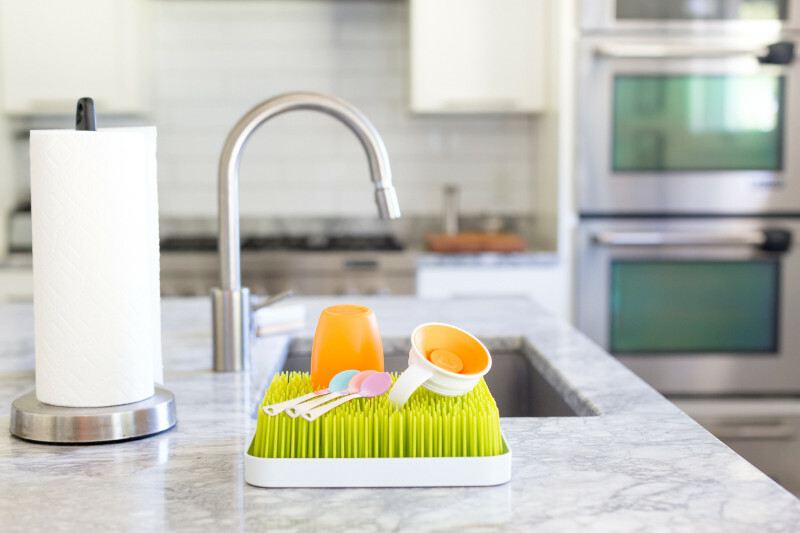 With new accessories comes new responsibilities, cleaning your child's utensils included. For quick and safe dry time, we love the Boon Grass Drying Rack. Mamas can rest easy knowing their baby's cups, spoons, and dishes are free from excess moisture (and bacteria) because this particular rack allows water to drain into a separate tray. If you already own a drying rack for your baby's bottles, feel free to double-up and use it for new feeding tools, too! Mother recommends: The Boon Grass Drying Rack, $15.99, Nordstrom. 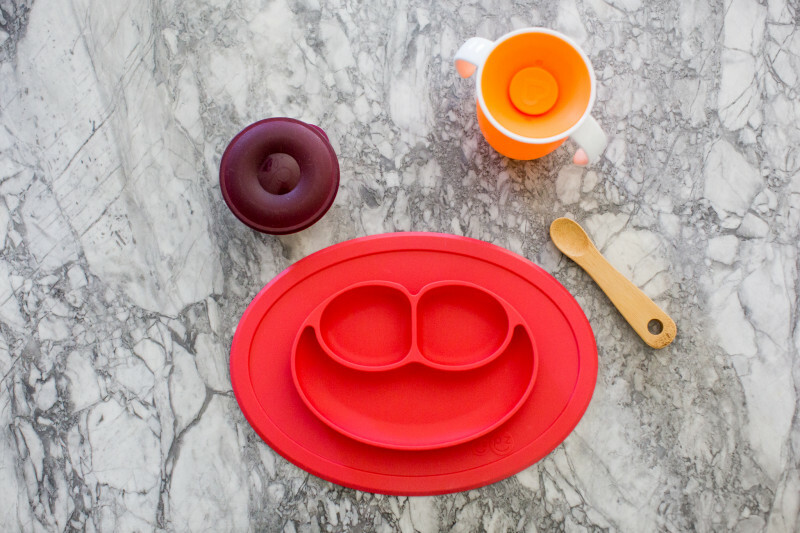 While toys might not seem like an essential in the kitchen, keeping a familiar favorite close by helps to make the transition into solids seamless and pain-free. 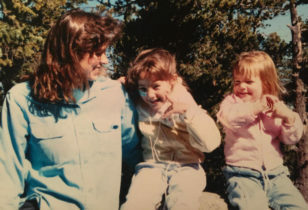 Because let's face it: making the jump is supposed to be exciting for both mama and babe, but it can also be daunting and overwhelming, too. A rattle or food-related teething toy can help little ones stay calm while exploring new textures, flavors, and environments. Mother recommends: The Modern Bunny Rattle, $16, Bitte. Do more than just feed your little one new foods—teach them about this exciting experience, too. Your baby will love the colorful story, and mamas can feel good knowing they're adding a bit of educational value to the transition. We especially love Eric Carle's split-page board book, My Very First Book Of Food. 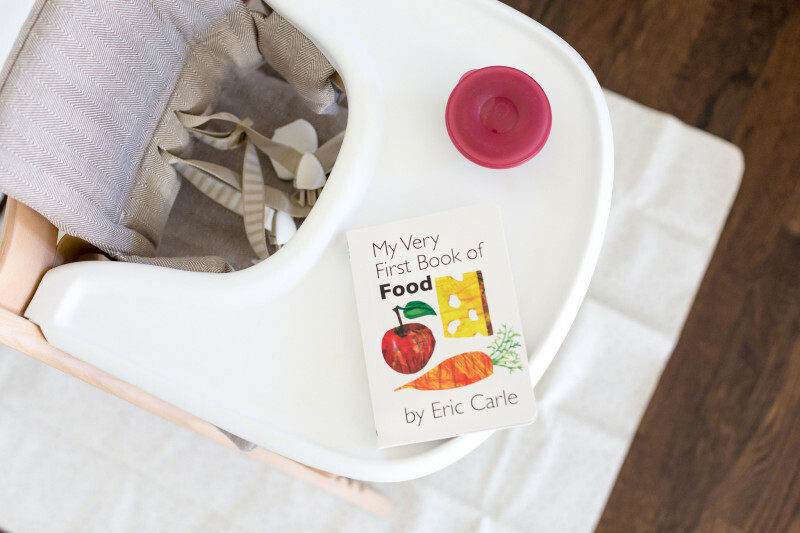 Mother recommends: My Very First Book Of Food by Eric Carle, $9.80, Amazon. 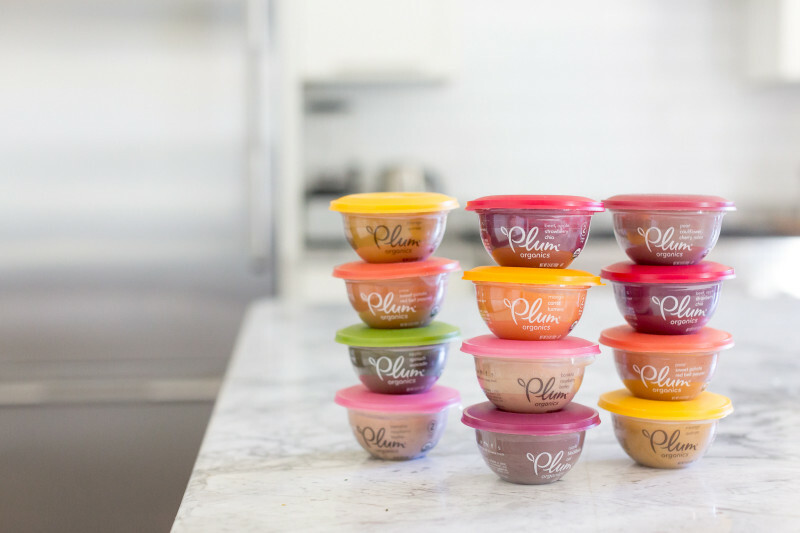 For more information on Plum Organics ® latest launch—Baby Bowls—check out Mother's piece on the Baby Bowls Debut and 5 Mommy-And-Me Meals To Whip Up This Fall.